Indeed! I have great faith in you mate, so I'm sure you'll turn out a stunner here. You'll also give me something to refer back to when it's my turn with this kit. Thanks kev, the trick is one detail at a time, sometimes just doing one little detail and then going and reading a book or watch something for a while. I find working at the kit, then taking a pic , downloading it and sizing, checking the forum and making a post gives me a break and keeps me fresh. I can go back a half hour or hour later and I have the energy to dig a little deeper. After posting the last pics I went and dug out my tools and sandpaper. 20 min. 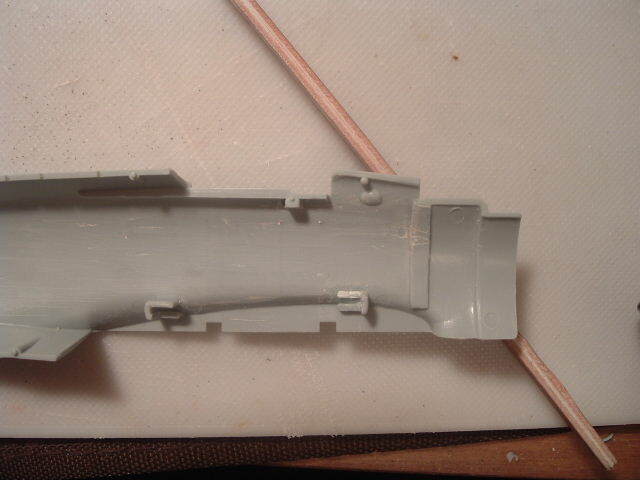 or so of chisel and 80 grit paper work, then the Squadron sanding sticks and we are ready to start building up detail. Putting the 21st C. sidewall in place shows that the mounting tab needs to go as it causes the front to be angled down by a noticeable amount. It looks even worse in person. positioning the cockpit floor right over where the tab had been puts everything in it's right place. Now I can start making parts and positioning things. After a couple of hours here is the result.... can't wait to get the photo etch and really start dressing this up ! Looking good! Nice work Vaughn! I hate to be a party pooper but I'm afraid you have the entire frame work too far aft. If you place the 21 C frame on the fuselage side remember that those projecing longerons behind the frame with the lightening holes connect to the bulkehead which is right at the back end of the cockpit opening. I think by deleting them you've shoved the entire sidewall back by about a quarter inch. Check the photos of the area beside and behind the seat on either side. 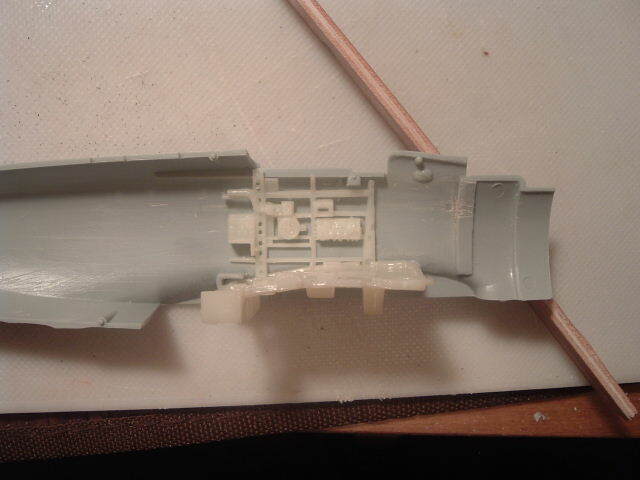 As for the A6M3 cross kit, I think I mentioned it in my pontification on the various models. The Doyusha kit is an A6M2 with the long span wings. The A6M3 early version was with a shorter fuselage, and short span wings with squared off tips. The late version A6M3 went back to the long span wings with rounded tip because of the lousy range of the early version. Looking at whats required to make a late version M3, you can do one of two things. 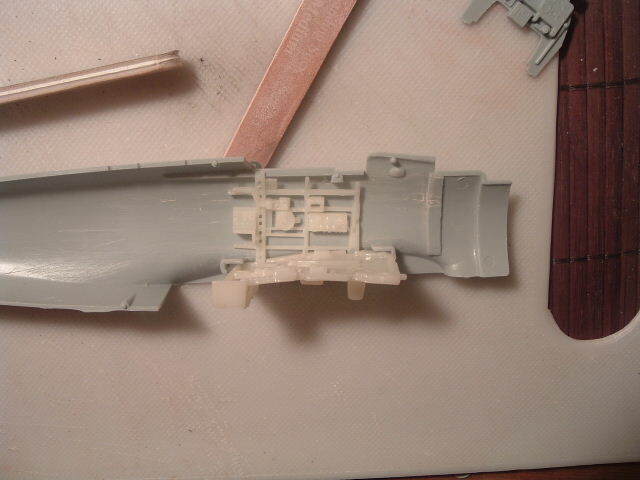 1) you can take the 21c kit and splice on the Doyusha wings which is adding fine detail to a crude base or 2) you can take the Doyusha kit, and modify it around the front of the fuselage so that the 21 C cowling and engine will fit on it. Since there are very few panel lines on the cowling I figured the end result would look better doing 2. Finer pane lines, rivets n what not. 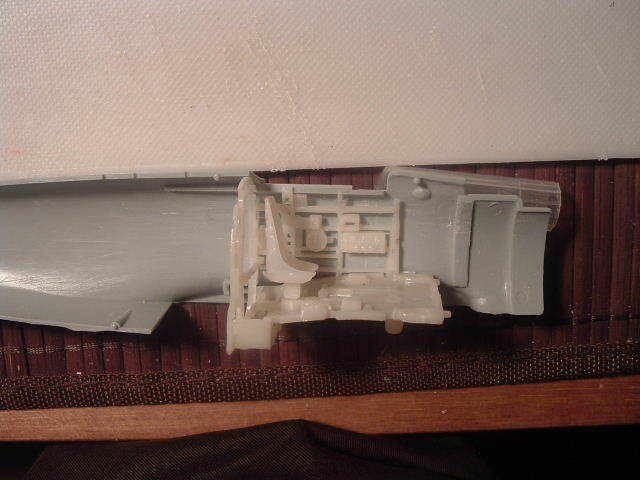 Stealing the 21st C cockpit and stuffing it into the Doyusha fuselage is a given. 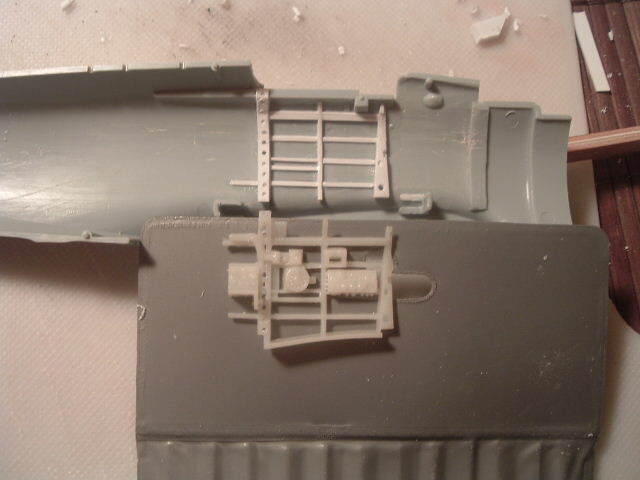 There are some fiddly bits having to do with shortening the M2 fuselage I haven't yet worked out but it would result in the sweetest build IMHO. Seriously man, THANK YOU ! That was a good catch and just goes to show that two sets of eyes are better than one. I've spent the last hour or so going over references but finly it came down to putting the parts together before I figured out what got by me. The pics show it quite well and you are right Saber. 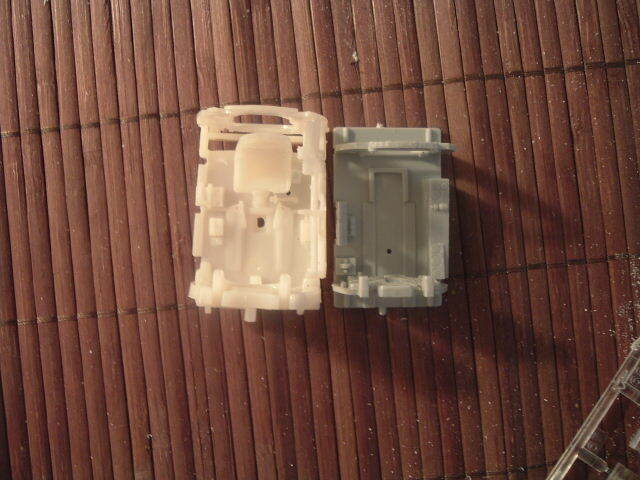 The positioning of the bulkheads on the Doyusha kit are a bit small and yet the cockpit floors are the same length. Right now I'm just going to set this down and go hang out at the hobby shop, buy a few chisel blades and relax. 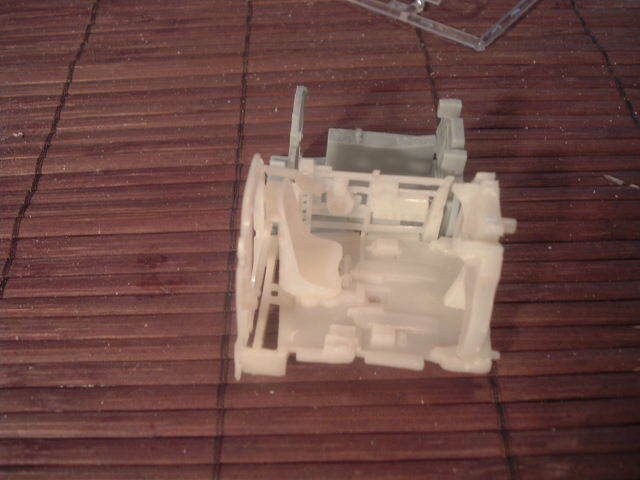 Then I'll come back and redo my mistake and get on with the build. Have a great day guys. Thanks again Sabre. I agree that the way you are doing it should be the best way to go. Comparing the 21st C. kit to the Doyusha is like comparing a paint by number to the Mona Lisa. Despite my set back, these Doyusha kits are the way to go. For surface detail and scale outline I'd say they are second only to Tamyia. Contrary to what might seem to make sense, I've read that the addition of the floats had little significant impact on the performance of the Zero. Just an FYI in case someone hasn't heard. Doyusha just re-released their old line of 1/32 scale stuff plus the old Nitto Kagaku Willow trainer. From what I've read a drop of 60 MPH ans some reduction in overall maneuverability... not good at all for a fighter. Now that's interesting news... and from the looks of it the prices are very reasonable. 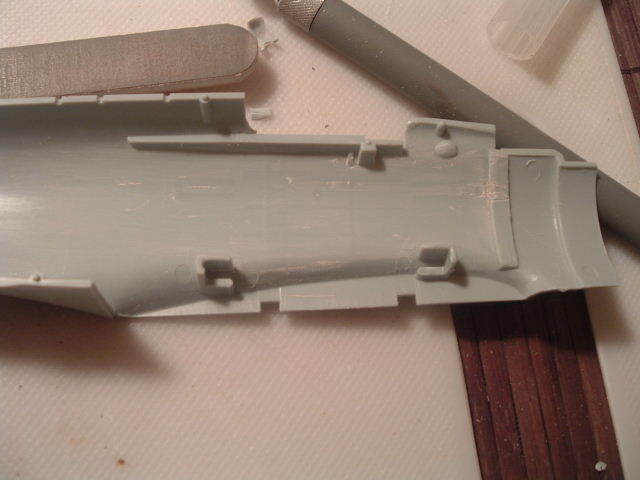 So, back from the hobby shop with some fresh blades I cut out the work I'd done and sanded down the area. I managed to save the triangle shaped front former but nothing else. For those of you planning on using the 21st C. cockpit, line your rear former up with the edge of the cockpit and you'll have everything in line. 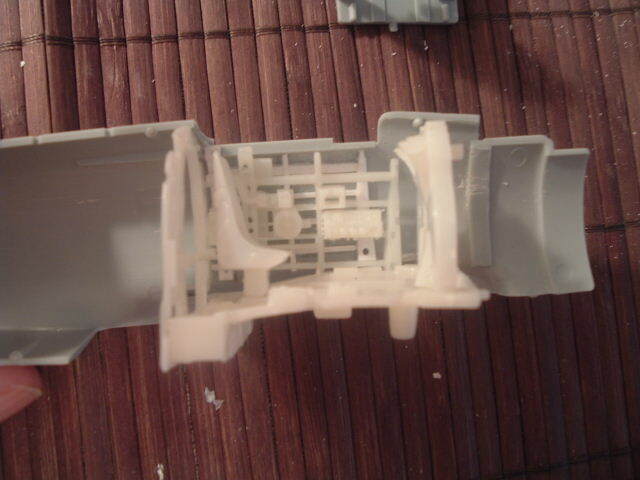 The forward mounting point from the kit has to be cut out completely to allow the cockpit to fit in right.